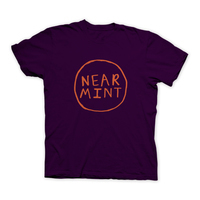 Classic Near Mint logo. All new colors. Black shirts with baby pink ink. Limited edition of 24.